According to the Memorandum of Cooperation signed between the Union of Information Technology Enterprises (UITE) and Ucom, the latter invests to open around 70 more engineering club-laboratories named “Armath” in 9 regions of Armenia. The project aims to promote the technological education in all schools of the Armenian communities, to assist pupils in their early interest emergence in modern high technology, to promote the development of engineering mindset from early ages and to prepare competent students. 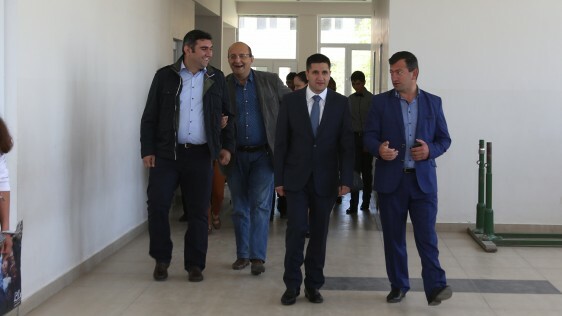 On June 10-14 “Armath” engineering club-laboratories were opened in Gegharkunik region, particularly in the educational complex of Vardenik, Geghhovit school of Martuni, high school of Martuni, 2 primary schools of Karmir Gyugh and Gavar, secondary school of Tsovaghyugh, high school of Sevan, secondary school of Ddmashen, as well as in Tavush region, particularly in the schools of border-located Voskepar, Sevkar and Aygehovit, as well as in Azatamut and primary school N5 of Ijevan, - where the pupils of the adjacent settlements as well are welcome to study. The project enables practical support for the integration of qualified IT-specialists into the Armenian and world markets, the exchange of the experience between them, and the attraction of large-scale investments into the IT-industry. It is noteworthy, that the software and assembly drawings of the labs-developed equipment are open to public. 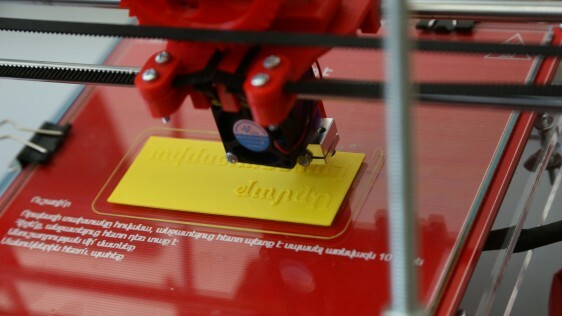 The computer programs and systems are “armenianized” to the extension possible, while during the project implementation for the acquisition of the equipment and software, the priority is given to the local producers, the bright example of which serve the high-quality three-dimensional (3D) printers, mini-computers, robotics kits and other devices produced in Armenia. Speaking about the strategic importance of the project, the Executive Director of UITE Karen Vardanyan notes: «Our goal is to restore the image of Armenia as an engineering country. Moreover, the April events proved once again that only the engineering knowledge enables us to create modern military solutions». K. Vardanyan also emphasized that with this step they contribute to the regional development. The pupils, that acquired technological education at the engineering laboratories, will further be able to meet the needs of their families and community». 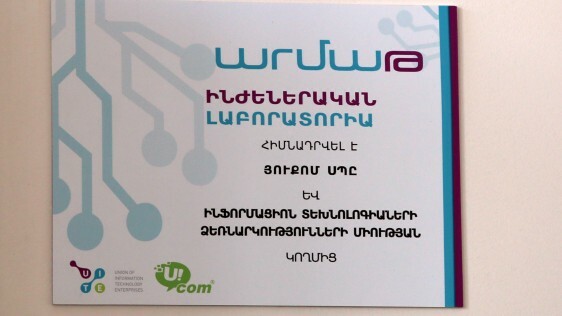 “As a company created and operating in Armenia, we attribute a special importance to the involvement of pupils from border areas in this project and we are confident that an IT-specialist residing in any region of Armenia will not yield to any foreign employee working for a world’s leading IT-company with his/her knowledge and skills”, - said the CEO of Ucom Hayk Yesayan. 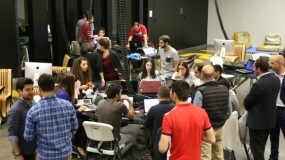 For the first time in Armenia a Big Data Hackathon was held. Faithful to its principle, Ucom was supporting this innovative idea.